Your religion is your friend’s religion! Allahumma Swalli Ala Sayyidina Muhammadin Wa alaa Aali Sayyidina Muhammadin Wa Sallim. You are a “living proof” for this Hadith. Your religion indeed your friend’s religion, though you may be titled as “Muslim/Sufi/Sunni etc! There is nothing called “your egoistic Jamath in this world and expect the jamath of Prophets and Righteous’s in the next world! It was narrated that Abu Hurayrah said: I heard the Prophet (peace and blessings of Allaah be upon him) say: “Whoever sees me in a dream will see me when he is awake; the Shaytaan cannot take my shape.” (Narrated by al-Bukhaari, 6592; Muslim, 2266). Quran 4:59 O ye who believe! Obey Allah, and obey the Messenger, and those charged with authority among you. If ye differ in anything among yourselves, refer it to Allah and His Messenger, if ye do believe in Allah and the Last Day: That is best, and most suitable for final determination. They don’t love some and hate some other. They don’t give superior to some and treat others inferior! Today, We have Shia type Sunnis and Sufis. They call upon the family of their Shaykh and abuse other Shaykhs and the Khalifas of their Shaykh. Some other type of this misguided Sufis, they love some ahlul bayth and hate some other ahlul bayth. Though they may took baya (initiation) into some Tariqah, their ego rule over them without they knowing it. They have jealousy and hatred to some shaykhs, their khalifas and some ahlul bayth, while they claim their love for ahlul bayth! Quran 17:37 And do not walk upon the earth exultantly. Indeed, you will never tear the earth [apart], and you will never reach the mountains in height. Allah and His Messenger (alaihiswalathu wa salam) teaching us through Quran and Sunnah Traditions the stories of Firaun ,Qaroon, Nimrod ,Firaun,Yazeed and Kharij (Rebellious Sinners/Protestant). It is not for just to recite and read and go!, but to know yourself to know your friends, to know your leaders. So that you may accept what is truth, what is good and what is right, and you may reject what is falsehood, what is bad and what is wrong! It is to self assess , to seek the correct friends and to follow the correct leaders. So you must begin to correct your heart first, then automatically you will correct your friends, or you will choose to have right friends and will have correct leaders. Unless you are protected by Allah , if you are not a person whom Allah with His Mercy has granted the Safety, then you have the hardship of disinfecting your own life with the sickness with in you and that evil you are surroundd with your life. But if you are among those who are granted safety by Allah, that time the Heavenly Powers Scan and disinfect your life from the “Firauns/Qaroons/ Nimords/Firauns/Yazeeds/Kharijis etc from your heart and from your friend circles and from the leaders, with/without you directly realizing it. And Allah Will Pour Wisdom to you about what happening in your life. That time, you will not grieve that the friend/relative forsake you/ the leader abandoned you! Because Allah is Protecting you from their fithna! Your Lord knows their state better than you and they do not know your relationship with your Lord. They have been in the partners in the Devil’s Work! This is the understandings of those who follow the Shaykhs of the Rabbani Way. The Ways of the Most Distinguished Saints in the Divine Presence. How to Find True Sufi Shaykh? Allahumma Swalli Alaa Sayyidina Muhammadin Wa Alaa Aali Sayyidina Muhammadin Wa Sallim. So, today 1000s of people claim to be Shaykhs or Sufi Masters. How to find a real Shaykh of Tarbiyyah (Spritual guidance)?. How to recognize a true spiritual master? . The problem is people are confused or they don’t want to take hardship to find a true Shaykh. Instead, they are just following a person based on his popularity, or based on the number of conferences he attended or based on the number of years he lived in the company of his Shaykh, or based on the number of degree courses he completed,or based on the number of followers he has. or based on the number of Facebook likes or media publicity he has! All of these criteria are wrong, and unaccepted in the Presence of Allah Almighty Exalted. If you follow a person based on his popularity, he may not be a sanctified person. His followers may be ignorant. They may not know the difference of truth and falsehood/Right and wrong. Or if you follow someone based on the number of conferences he had organized or attended then remember that conferences are organized by people of all sects with in Islam. Quran 2:256 Let there be no compulsion in religion: Truth stands out clear from Error: whoever rejects evil and believes in Allah hath grasped the most trustworthy hand-hold, that never breaks. And Allah heareth and knoweth all things. Those who held most Truth Worthy Hand-Hold (those who practice baya–Oath of Allegiance-Sura Al fatah ) has only those who really believed in Allah. Which explain in Quran 48:10 Indeed, those who pledge allegiance to you, [O Muhammad] – they are actually pledging allegiance to Allah . The hand of Allah is over their hands. So he who breaks his word only breaks it to the detriment of himself. And he who fulfills that which he has promised Allah – He will give him a great reward. Those who do not follow the tradition of Baya (oath) on an unbroken Chain (Silsila) cannot be a true Shaykh! So true Shaykhs will have that Firm Hand hold, they are not from University Graduates. Because Prophets or Sahaba (Companions of Prophets) never established College or Universities to teach Religion of Allah!, They are not looking for this Degrees that is issued by those who did not follow the True faith and Creed! A Person can be so many years with a Shaykh and can remain a hypocrite or an impure person. Because he may not have submitted to his Shaykh completely. Having so many followers does not make a person a real Shaykh. When Isa (A.S) emerged among Children of Israel, there were big Rabbis with many followers with massive knowledge of the books yet denied Isa (A.S) , so they strayed from the Path. I do not want to say anything about Social network popularity or becoming a google Shaykh. Google Shaykh and Google followers not making any oath of allegiance. * Disagreeing does not mean you rebel against the Shaykh/leader who is in authority over you upon oath of allegiance. Some new deviant people say it means to go and check in Quran and Hadith. Since when people started looking in Quran and Hadith? Are they making seeing Quran as Allah and Hadith as Prophet alaihiswalathu wa salam? Such an understanding coming from wicked people. 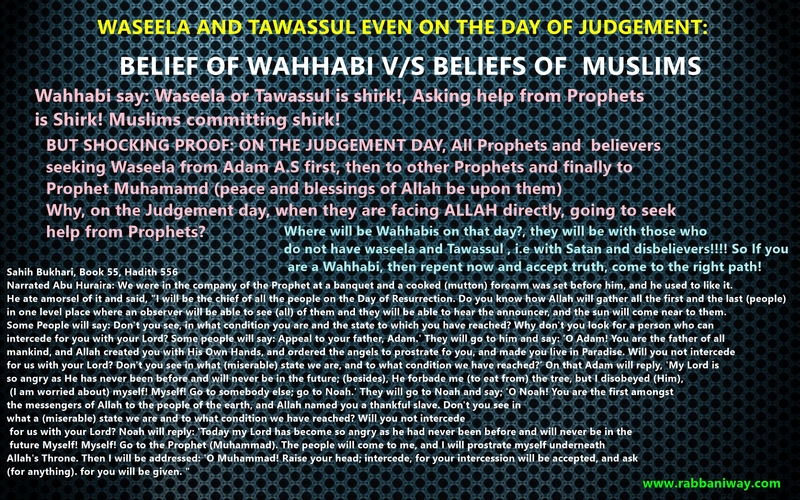 So it is clear that protestant way of salafis and wahabis and rejecting to follow Imams not allowed in Islam! Narrated Imran bin Husain: A man said, “O Allah’s Apostle! Can the people of Paradise be known (differentiated) from the people of the Fire; The Prophet replied, “Yes.” The man said, “Why do people (try to) do (good) deeds?” The Prophet said, “Everyone will do the deeds for which he has been created to do or he will do those deeds which will be made easy for him to do.” (i.e. everybody will find easy to do such deeds as will lead him to his destined place for which he has been created). So many false groups in the Sufi name quote this to make evil gatherings, gatherings that is to boast ego and spread lawlessness!!!. Goodness is in the gathering. gathering under what kind of leader, gathering for what purpose? Quran 17: 71 One day We shall call together all human beings with their (respective) Imams: those who are given their record in their right hand will read it (with pleasure), and they will not be dealt with unjustly in the least. 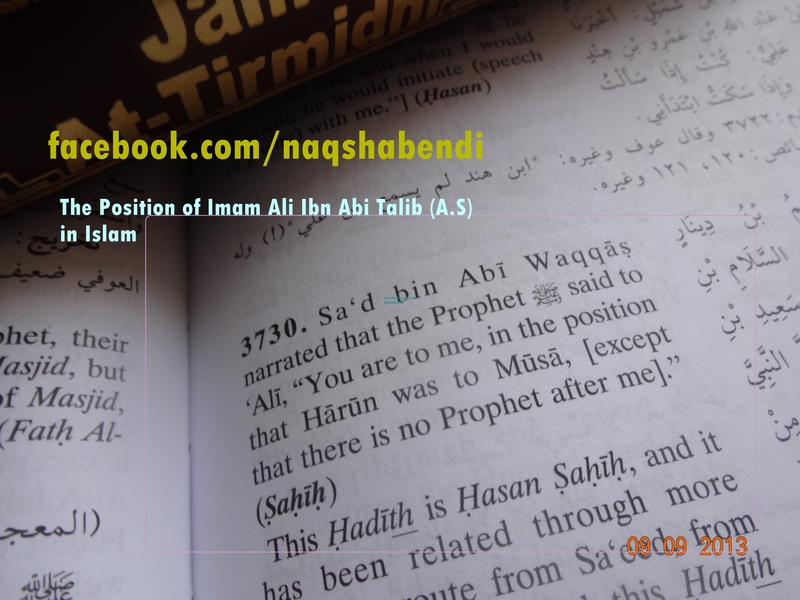 So those who do not have Imams/Shaykhs their Imam will be Satan and their ego! Quran 9:119 O ye who believe! Fear Allah and be with those who are true (in word and deed). They are saying we are upon Quran and Sunnah, but they don’t have an authentic chain, they don’t have Oath of Allegiance (baya), but they mislead people into false doctrines emerged after 17th century! In Torah,Enjeel or in the Quran, there is no Women Shaykhs, except that a Woman scholar may teach the Women. She does not take the authority as an Imam/Shaykh/Caliph. 1-Some claim to be Shaykhs because they lived with their Shaykh their whole life. 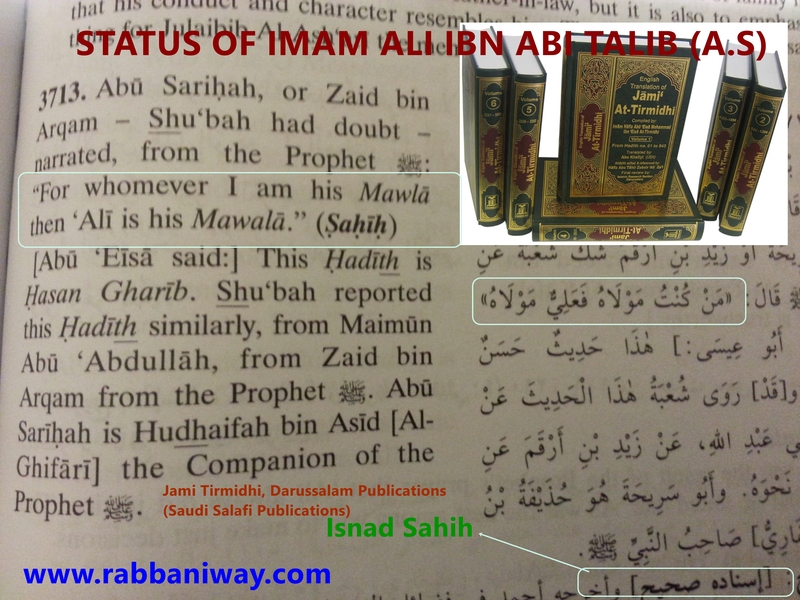 2-Some claiming to be shaykh based on their family lineage to a great Shaykh or an Imam. 3-Some claim to be a Shaykh, because they have been authorized to do some work for a Shaykh. (A King and a butler cannot share same status). A Judge and a Clerk in the Court has no same authority! A doormen and house owner are not the same. 4-Some claim to be a Shaykh, because his Shaykh had given him some authority in the Past, but he himself deviated from the principles of Islam and tariqah, but still mislead thousands by using the title “Shaykh/Imam”!!! Third and fourth category are most confusing and most difficult to understand. It is this categories Satan mostly mislead and send people into astray! I really wish, if our false Muslim Shaykhs and Muslim leaders had an atom of honesty that people of other faith has!. 1- Being a Scholar of the Obligation of Religion: The master must be a scholar in all religious obligations, such as the conditions of prayers, the conditions of fasting and the conditions of zakat (obligatory charity). He must be knowledgeable in the Jurisprudence of Islam and all necessary matters of Islamic Shari’ah. He must be a scholar in the Science of Tawhid (Oneness) according to the Ahl as-Sunnah wal-Jama’at(Hanafi/Shafi/Maliki/Hanbali), and all the and all the other conditions of faith (iman). 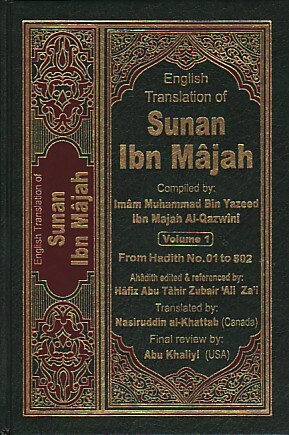 2-Having Spiritual Knowledge of God and the Seeker:To be a Knower means the master or murshid must have the knowledge of the conditions of the state of Ihsan, as mentioned by the Prophet (s) in the hadith, “Worship Allah as if you are seeing Him, and if you are not seeing Him, know that He is seeing you.” A Knower must bear witness in his heart that Allah is the Unique One in His Essence, and in His Attributes, and in His Actions. He must know about His Attributes through Vision and Taste, by experiencing self-effacement in the Divine Presence. A person can have knowledge of the religious obligations (matters of ritual purification/prayers and outward life), but he may not know God and His Prophet alaihswalathu wa salam. It is like Driving/selling a car and do not have a relationship with the Manufacturer or Company or a flight without communication with flight control room. How can someone guide a person to the Divine Presence , if he has not reached the Divine Presence? or At least the Presence (Quran 4:69) of Holy Prophet alaihiswalathu wa salam? 3- Being Sanctified: This is the Most Important attribute of a Shaykh. What if the Master (Shaykh) himself a slave to his own ego? , a Shaykh with hatred to other Shaykhs and their followers, Jealousy , envy, greed and anger? How can you follow such a Shaykh who lost the control of his own ego?, A Shaykh who claim to be a Shaykh, but he is not truly sanctified? a Shaykh who abuse other Shaykhs or other representatives and followers of his Shaykhs? This is where Haqq and Bathil become separated. Either you follow your ego and follow such Shaykhs or you leave such Shaykhs and follow the Truth. The Shaykh might be a good person,a nice man in the past , but he has lost his progress and direction in his path, he became corrupt, abusive and egoistic. And his Shaykh changed the vehicle and appointed some other person to lead the path. Then you take such ones as your leader?. So how can you follow a Shaykh, who is angry and violent towards other Shaykhs and their followers? What Shari’ah and rules of tariqah you are following in the matter of taking a person as a Shaykh? So How can you take someone as your Shaykh, if the Shaykh has not sacrificed his own will before Allah<Prophet alaihiswalathu wa salam and his shaykh? Sometimes, people misunderstand what Khwajah Ubaidullah (Q.S) said. There are astrologers who can say your state!, So a Shaykh who is lead by demons can also perform such miracles of understanding the state of the seeker!. So how can we find a true Shaykh?, answer is simple: With all of the conditions mentioned here with his good conduct and model behavior! Many Shaykhs today deceiving their followers by asking them for Money. They offer big status and Maqams (Spiritual ranks) to his followers. Such things never happened in the History of Sufism. The Shaykh who ask from his followers for wealth is in fact doing “Hidden Shirk” . It is a proof that the Shaykh did not reach in Wilayath nor Shaykh hood nor Haqiqat! Allah forbid it in Sura As-Saff: 61:2-3 O you who have believed, why do you say what you do not do? Great is hatred in the sight of Allah that you say what you do not do. We are living in a day and age, where so many Shaykhs appearing with new ways that are not authorized by their Shaykhs. The Shaykhs who lost authority due to their neglecting of the adab (morals) of the Way, they are opening their own Tariqah (Sufi Ways). This newly invented Paths are not authorized by his Shaykh! So many people are trapped in such strayed ways! We pray that may Allah guide them and forgive them. 5-The Signs of Mastery:The main indication of mastery is that when you sit with a master you feel a breeze of faith, spiritual pleasure. He doesn’t speak except for Allah. He is always advising the good. You will benefit from being in his company as you benefit from his words. You will benefit when you are far from him as you benefit when you are near him. You must see among his murids the picture of faith, sincerity, humbleness and taqwa (God-consciousness), and you must remember, when you are mixing with them, the highest state of love and truth and deference to others. You must see that his followers represent all different kinds of people in the community. That is how the Companions of the Prophet were. Well, remember the Quran verse about following Ego!, What we do if a Shaykh is slave of his ego and he speak for his own desires , and not for Allah?!! !, except that we leave such Shaykhs and find a righteous Shaykh and save our own Souls! Islam and tariqah is to surrender to the Truth, not to be enslaved with some corrupt ones!. Islam is to live in the present world not in the past or not in the future. You cannot follow a corrupt one because his past was good, you cannot follow a bad one because you think he will become good in the future. Today, so many Shaykhs misleading their followers. Some so called Sufi Shaykhs doing takfir on other Sufi Shaykhs and their followers. Be most aware of takfiri Sufi Shaykhs. These kind of Shaykhs are the agents of Satan who accuse “Kufr” (Disbelief) on Muslims. Especially those Shaykhs who accuse Kufr” on other Shaykhs who are acknowledged as “Mumin and Righteous” and authorized as “Shaykh and Khalifa” by great Shaykhs of the time of the two of them (accuser and accused). So we can see that, a person whether a Shaykh or a Murid or a non-Murid is is forbidden for him to slander and accuse kufr (disbelief) on another Muslim. Such Takfiri Shaykh’s takfir have been refuted by the words of true Shaykhs! Today, some Shaykhs making “Final Judgement” on some Shaykhs and their followers/other Muslims. We shall never take such one’s as Shaykhs. Also it is an act of “Shirk” to associate one self with their affair of Allah”! Do we need Judgement day, if such Shaykhs are making “Final Judgement” before hazret Michael alaihissalam blow the Trumpet? Prophet alaihiswlathu wa salam is Sent to Mankind by God as “Mercy to the Whole World”. 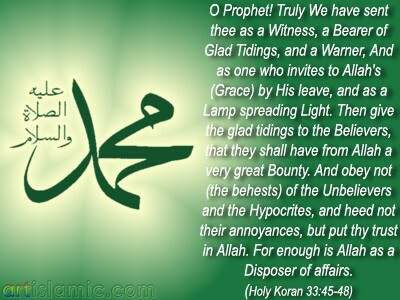 Prophet’s true Successors are also Mercy to the World World. Islam is such clear, so why then you are still misguided to follow such Shaykhs?, Why Such Shaykhs not shamed to leave their chain of “Shaykh-hood” and begin with basic. We have seen so many true Shaykhs, before they speak on something, they made sure that they did what they spoke later!. Prophet alaihiswalathu wa salam forbid himself to curse the infidels , but look at so called Shaykhs of today, they are cursing Muslims, some of them cursing even the Sufi Shaykhs and followers by accusing kufr and passing judgement that they will go to hell etc! So who is Your Shaykh?, Are you following a Real Shaykh? a Real Representative of the Prophet alaihiswalathu wa salam for this time? Are you fooled by Satan and Dajjal? After reading this post and if you think you are fooled by some false Shaykhs and Satan, then still you have time to find other Shaykh or tariqah. You are welcome to “Osmanli Naksibendi Hakkani Tariqah (Ottoman Naqshbandi Haqqani Sufi Way” of Sulthanul Awliya Mawlana Shaykh Nazim Al-Haqqani (Q.S) and Sahibu Saif Hazret Shaykh Abdul Kerim Al-Kibrisi ar-Rabbani (Q.S) in the Naqshbandi Golden Chain. Some Shaykhs says: Allah and Prophet gave/promised this and and that, and then next year/after that it proved to be wrong the things they said/happened things opposite to what they have been said in the previous years. And their words came untrue. Which means Prophet alaihiswalathu wa salam did not say or offer anything to them. Some people teaching reciting an Ayath or a chapter in Quran will give the reciter a rank which Prophets or Previous Saints did not achieve (i.e they will reach a higher station). This are not Naqshbandi Teachings, nor the Aqeedha of Ahlu Sunna Wal Jamah (Asha’ri and Mathuridi creed of Sunni islam)!!! Our Shaykh Teaching us that: “No one in this nation can attain the status of Sahaba by efforts of worship/charity”. But Allah can give any authority to whoever HE Wills. But it was their waswaasa speaking, false spirits inspiring them, and Satan fooling them. it is time for them to Wake up! Vol 1, Book 3. Knowledge. Hadith 106. Vol 1, Book 3. Knowledge. Hadith 108. Vol 2, Book 23. Funerals (Al-Janaa’iz). Hadith 378. Also in Bible: Numbers 23:19 God is not man, that he should lie, or a son of man, that he should change his mind. Has he said, and will he not do it? Or has he spoken, and will he not fulfill it? So we found the diversity of the usage of the term “Shaykh” with in Sufism and in the general ways of Islamic world. The Sheikh/Shaykh/Seyh titles are used by many, they may be a name sake shaykh, or a real Shaykh. In Sufism, to become a true Shaykh, requires the above five conditions. There can be many Shaykhs, just like using the Title “Sir”, the title “Sir” was actually for the United Kingdom members of the House of lords. But today, this tile is used among people to address their bosses military and civil officers. But the True Shaykh is the One who Conquered his ego and appointed to give Spiritual Guidance (Quran 17:80) and Spiritual Succession of the Main Shaykh. So you must know with whom the Spiritual Succession. 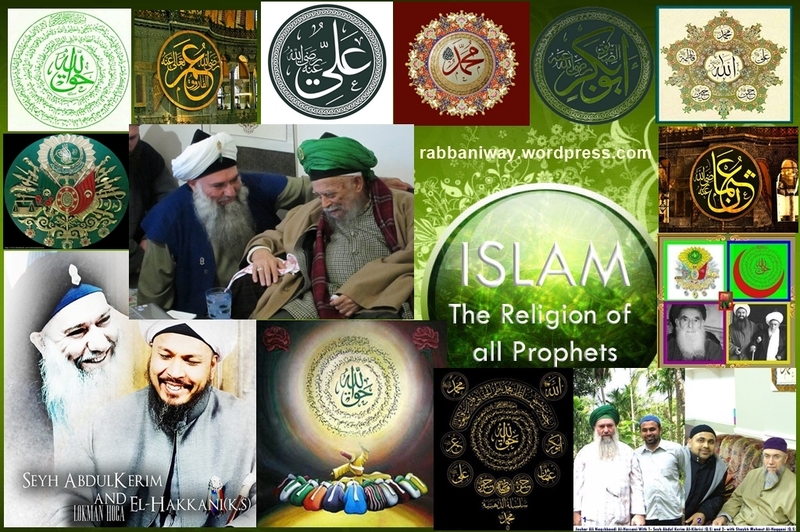 If you have connection with Prophet alaihiswalathu wa salam/ Abu Bakkar Siddiq (R.A) or Imam Ali Ibn Abi Talib (R.A) or with your own Shaykh that you can ask them in Muraqaba (Meditation) that “Is this a real Shaykh?, or who is the Spiritual Successor?” then do that. You can only fool yourself and others with your wahabi type evidences of the books and of the past. Why you do not have something to show from the very recent appointment or ijaazah? When New Ijazah/new appointment came, the old one is null. The people has to follow the New appointment/ new authorization/new permission. today, everyone is under pressure from the false hood. No one want to hold to Haqq tightly. Those who are appointed also failed to follow the teachings and request of their own shaykhs. We have witnessed all these, that is happening around us. So this is a strict advise to new Murids and new followers of Osmanli Naksibendi Hakkani Sufis Way. We love and respect all righteous Shaykhs. But avoid that which is doubtful. Avoid the company of the people who curse you and your Shaykh and his followers. Avoid the company of corrupt ones. I memorised from the Messenger of Allah (peace and blessings of Allah be upon him): “Leave that which makes you doubt for that which does not make you doubt.”[At-Tirmidhi] [An-Nasai]At-Tirmidhi said that it was a good and sound (hasan saheeh) hadeeth. عَنْ أَبِي مُحَمَّدٍ الْحَسَنِ بْنِ عَلِيِّ بْنِ أَبِي طَالِبٍ سِبْطِ رَسُولِ اللَّهِ صلى الله عليه و سلم وَرَيْحَانَتِهِ رَضِيَ اللَّهُ عَنْهُمَا، قَالَ: حَفِظْت مِنْ رَسُولِ اللَّهِ صلى الله عليه و سلم “دَعْ مَا يُرِيبُك إلَى مَا لَا يُرِيبُك”. وَقَالَ التِّرْمِذِيُّ: حَدِيثٌ حَسَنٌ صَحِيحٌ. Sunan Abu Dawud: Book 37, Number 4322:Narrated Abdullah ibn Mas’ud:The Apostle of Allah (peace_be_upon_him) said: The first defect that permeated Banu Isra’il was that a man (of them) met another man and said: O so-and-so, fear Allah, and abandon what you are doing, for it is not lawful for you. He then met him the next day and that did not prevent him from eating with him, drinking with him and sitting with him. When they did so. Allah mingled their hearts with each other. He then recited the verse: “curses were pronounced on those among the children of Isra’il who rejected Faith, by the tongue of David and of Jesus the son of Mary”…up to “wrongdoers”. In Bible too: 2 Corinthians 6:14 Do not be yoked together with unbelievers. For what do righteousness and wickedness have in common? Or what fellowship can light have with darkness? So unless you fix your defect, you are not going to reach in the lofty stations of faith. The doors are closed in front of you. Whoever you are and whosoever son you are! Quran 13:11 Allah will not change the condition of a people until they change what is in themselves. So some people who are busy with false hood calling for Unity! Unity under what? Unity with what?, Unity with Haqq and Bathil? Unity between truth and falsehood? So there is not obligation (Compulsion) for Right to join with wrong for so called Unity! *The Last Main Body of Muslims and the Leader were Ottomans! So I advise,especially the new followers of Osmanli Naksibendi Hakkani Sufi Way from South Asia, Middle East Europe and Americas and elsewhere in the World, to stick to the Shaykhs and representatives who are appointed in that way by Mawlana Shaykh Nazim Al-Haqqani (Q.S) and Sahibul Saif Hazret Shaykh Abdul Kerim Ar-Rabbani (Q.S). Don’t look into that groups and this groups. 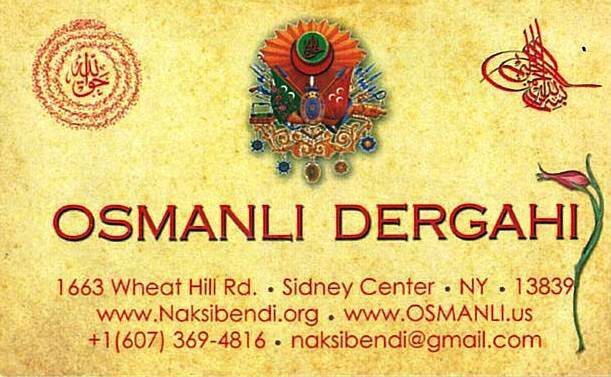 If you do not have Osmanli Naksibendi Dergah or Zikr Majlis (Assembly of Zikr) in your place, then you may attend others Zikr or you may not attend. Prophet alaihiswalathu wa salam Advise his Companion Hudaifa Ibn Al Yaman (R.A). If the gatherings is not according to the ways of the Main body of Muslims and their leader (Ottoman Caliphs and their approved Schools) then it is your duty to isolate yourself from all these sects and groups until you die and meet your Lord. Chapter : Instruction to stick to the main body of the Muslims in the time of trials and warning against those inviting people to disbelief. Wake up to yourself, Sulthanul Awliya teaching to liberate your Soul from falsehood and to surrender to Haqq. Stop fooling yourself! Q&A How do we know if it is Rasoolullah (Peace be upon him) we saw in the dream? Question: how do you know if it is RasoolAllah saw in the dreams? sorry for this humble question…Insha Allah I will see him too in my dream.. Soul Recognizing Prophet (s.a.w) better than they recognize their children. Sura Al Anaam verse 20: Those whom We have given the Book recognize him as they recognize their sons. Those who have lost their souls — they will not believe. Al Bakara verse 146 Those to whom We gave the Scripture know him as they know their own sons. But indeed, a party of them conceal the truth while they know [it]. Quran 39:42 It is Allah that takes the souls (of men) at death; and those that die not (He takes) during their sleep: those on whom He has passed the decree of death, He keeps back (from returning to life), but the rest He sends (to their bodies) for a term appointed verily in this are Signs for those who reflect. So if the ordinary scholars of Israel have insight to our Prophet alaihiswalathu wa salam, then what about the pious Muslims scholars (awliya Allah) of this Ummah? In the above verses in Quran, it is speaking about a time, when there is no DNA or other methods to recognize one person, but through spirituality. 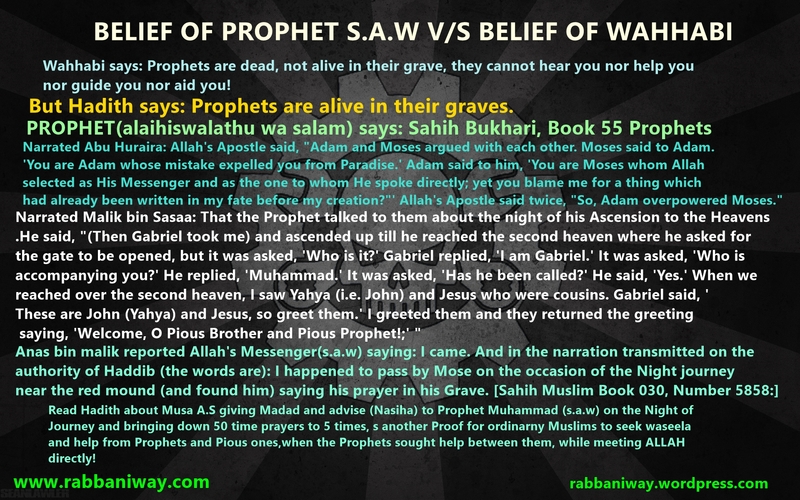 The above verses are a proof against Salafi/Wahhabi also, as they deny the spiritual power of Awliya Allah. Awliya Allah can recognize the lineage and back ground of a person, as Quran says about the righteous scholars of Israel who can recognize Prophet Muhammad alaihiswalathu wa salam. According to the above verse those of knowledge (ulool ilm) have taken shahadath (testimoney of faith) in the perfect way as the angles does..
Quran 4:69 And whoever obeys Allah and the Messenger – those will be with the ones upon whom Allah has bestowed favor of th e prophets, the steadfast affirmers of truth, the martyrs and the righteous. And excellent are those as companions.